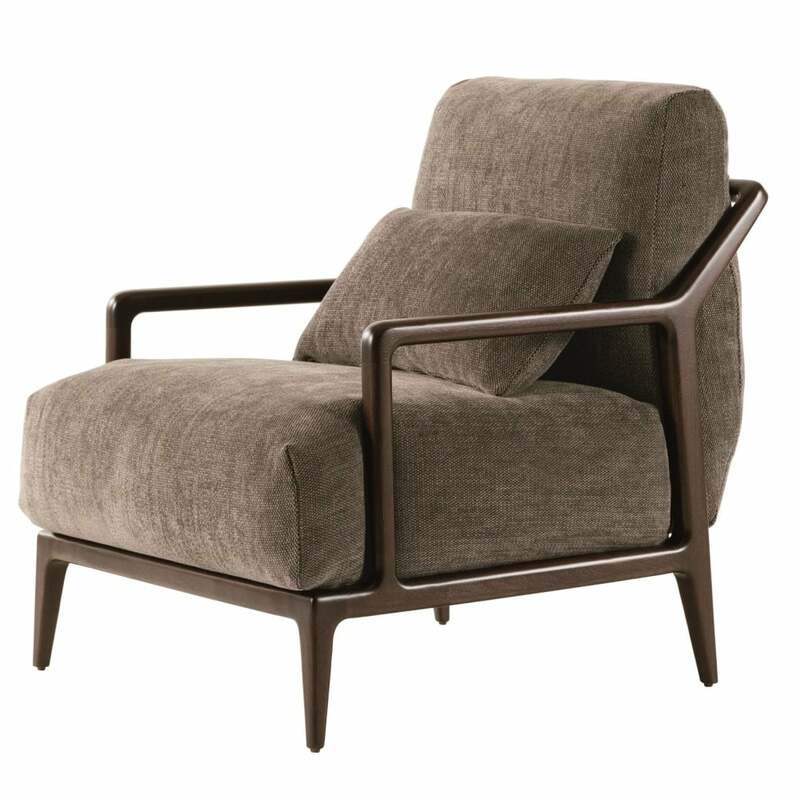 Beautifully crafted this lazy chair is comprised of a solid American Walnut frame with loose cushions available in a variety of fabrics or leather. With the added option of COM increase variation by adding a patterned fabric on lumbar pillow. The low profile and deep seat of this stylish piece coupled with the slim frame with its soft curves enhance the feeling of relaxation and comfort without holding back on style. Priced for cat 2 fabric with walnut wood, other options available.